At such a scorching time when both Vloggers and growing YouTubers are getting a bumpy ride, personally, I consider DTube to be just the best place for certain individuals who are having a hard time finding their way on YouTube. For the record, YouTube started off the year 2018 by modifying its monetization scheme. As a result of the adjustment, YouTubers whose channels are yet to achieve 1,000 subscribers and total duration of 4,000 hours of view time, will be restricted. Expectedly, the YouTube community is livid about this situation. To a layman who is probably discontented with YouTube, DTube is a more lucrative platform that has a lot of similarities like YouTube. Although, I regard it as a better version of YouTube, however, anyone can watch and upload their video clips on the IPFS network and also be a better alternative to Vimeo as well. The platform is built to utilize STEEM as its database, and the best thing about DTube, is that they reward their users for each upload! Yes, cryptocurrency incentives. DTube is a decentralized crypto-oriented video platform which leverages on the STEEM Blockchain and also the IPFS p2p program. 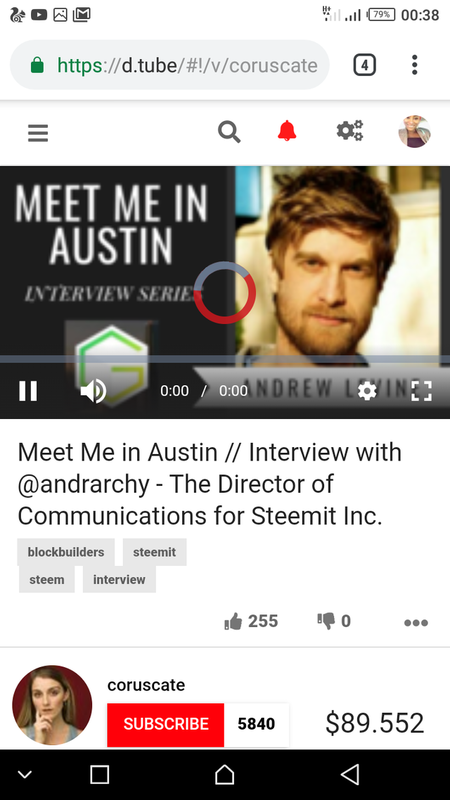 This integration with the Steem blockchain allows DTubers upload new videos and sharing of these videos through a user interface that’s linked to the Steem blockchain. Every uploaded video clip is stored at ipfs.io - this is another decentralized and trustworthy and distributed content system in the cloud. This storage is also linked with the Steem blockchain. Just so you know, it is still in the Steem blockchain where all posts and videos that are published to the DTube community are reachable, with the use of interfaces like eSteem, Steemit.com, Busy.org and many others. IPFS is its fixed file storage. 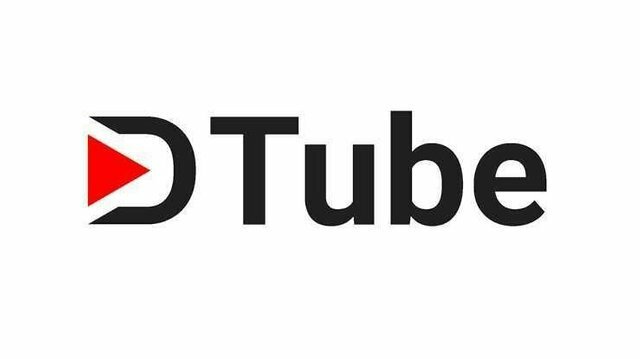 DTube utilizes the Steem blockchain as its database and thus 100% decentralized. For the fact that it is built on the STEEM blockchain, each search directives would be directly communicating with the steem node. This search bar is powered by the AskSteem platform. 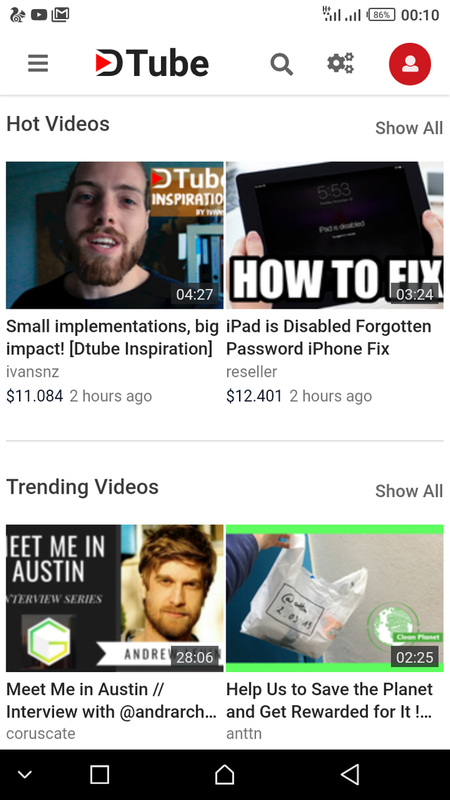 DTube duplicates the layout of YouTube for near-similar user experience. The platform allows users to use your Steem username and their Private Posting Key to login into the platform. DTube also possesses a multi-user login, just like YouTube and Facebook. As you can see in the image above, I was able to login with my steemit active keys before I was able to access the platform. I would say it is the easiest job ever to upload video via DTube, since all you have to do is to just Drag and Drop the video file from your PC with the help of the built-in Drag-and-Drop feature already available. You must note that processing depends on the speed of your bandwidth. However, you may need a snapshot or a thumbnail of the clip which can be captured while uploading your video. The last step in uploading your video is the video description and the tags, the description is the post header and the text becomes the body of your description. All videos play perfectly well, but it all depends on the quality of your video quality and like I said earlier your bandwidth speed. As this is always the case of concern to users that don't understand, high-resolution videos can buffer a little. So far everything about DTube's playback feature is great. Presently, contents can be discovered in three different ways. You can make use of the Homepage where you will see HOT, NEW or Trending videos. You can also use the feature https://dtube.video/c/curator and access a user’s channel. And lastly, another technique of getting a video clip is by searching on the top bar as it is always a straightforward process. I honestly think rivalling YouTube might be a big step for this new video sharing site. However, for the fact that it is blockchain-oriented could give the platform some hopes to be ranked among the best in the future, but there's work to be done as it is still a work-in-progress though! The main downside right now is its lack of content. It offers a reasonable selection of content in different categories of niche that includes cryptocurrency but it lacks live stream in another niche like gaming, fitness, or music. You will discover uploaded videos but not as much as the content that is uploaded to YouTube daily. I've experienced some glitches with the search; sometimes it doesn't function at all, making it unusable for some time before it starts working again. And I've also observed that the platform doesn't work on their website. And it looks like the Asksteem API has been discontinued for some reason. When I made some inquiry, I was told that they had currently shut down Asksteem. 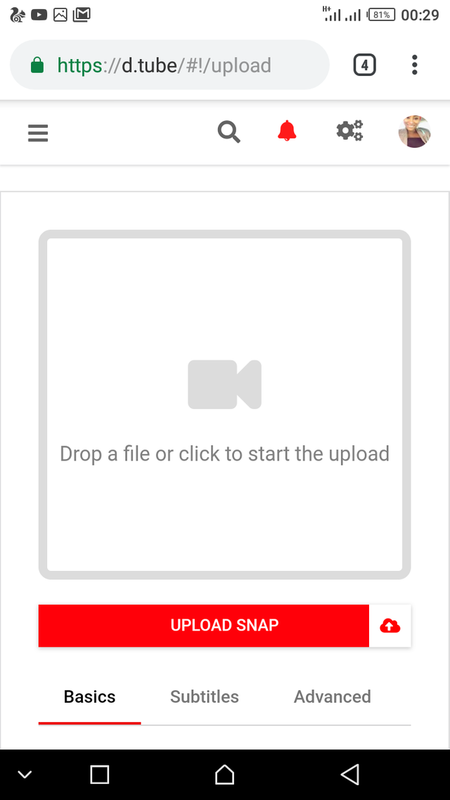 When trying to upload a video, it shows a blank page when you click on the upload option by the right, although the instruction is that you wait for some time, not all users have such patience to wait to get their videos uploaded. New users are complaining of experiencing a blank page home screen even after downloading the App and setting up a steemit account. Even with its flaws, DTube gets a lot of things right still like what I see, it's a welcome development to be a blockchain-based video sharing platform, the first actually!. A YouTube alternative that uses STEEM simply to reward its users, the future looks bright! It is a decentralized platform without algorithms or censorship that artificially adjust the ranking of videos. Thanks for reading.